The Hawker Typhoon Preservation Group are very proud to welcome Clare Mulley to our Uckfield base on Thursday 28th February 2018. 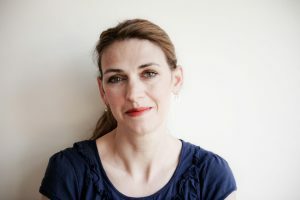 Clare Mulley is the award-winning author of the books The Woman Who Saved the Children (won the Daily Mail Biographers’ Club Prize), The Spy Who Loved (now optioned by Universal Studios and led to Clare being decorated with Poland’s national honour of the Bene Merito) and the most recent, The Women Who Flew for Hitler. This is a dual biography of two extraordinary women at the heart of the Third Reich, but who ended their lives on opposite sides of history. A regular contributor to TV and radio, Clare recently gave a TEDx talk at Stormont, wrote this year’s BBC Reith Lecture quiz and lectures in London and Paris on wartime female special agents. She also reviews non-fiction for the Telegraph, Spectator and History Today. Clare was chair of the judges for the Historical Writers Association 2017 Non-Fiction Prize and has recently become an honorary patron of the Wimpole History Festival. Doors for the evening will open at 18:15 with Clare taking the stage from 19:00 with the Q&A to follow. Non-alcoholic drinks will be available on the night. Clare has kindly offered to do a book signing at the end of the evening. Copies of her books will be available to purchase on the night. 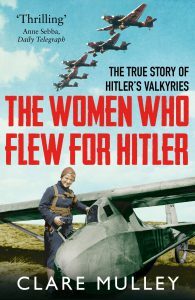 The Women Who Flew for Hitler tells the extraordinary story of the only two female test pilots who served Nazi Germany, yet who ended their lives on opposite sides of history. Brilliant pilot Hanna Reitsch was the world’s first woman to fly a helicopter, and later tested rocket planes, and a manned version of the V1 flying bomb or doodlebug missile. A fanatical Nazi, in the last days of the war she begged Hitler to let her fly him to safety from Berlin. Her nemesis, Melitta von Stauffenberg, the test pilot for the Stuka dive bombers and exceptional aeronautical engineer, was part Jewish and secretly supported the most famous attempt on Hitler’s life. Tickets for the event are priced at £6 for Members and £9 for Non-Members and can be purchased through the Eventbrite link below.